Represnet – Proxies-free.com: 100% Free Daily Proxy Lists Every Day! I have to demarcate an Android layout from the website shown below. 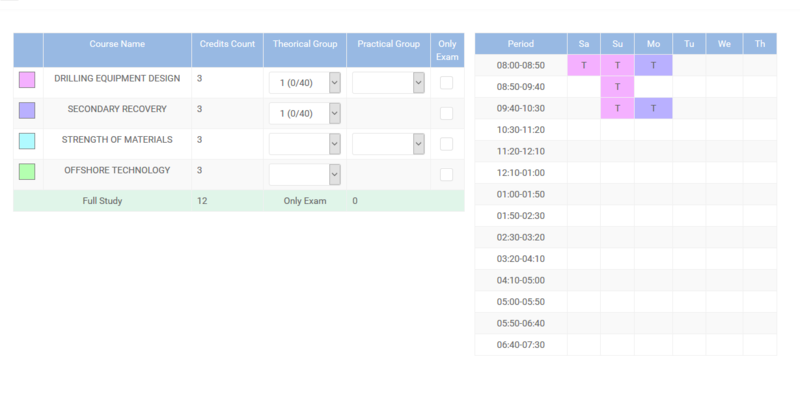 How can I display the schedule interface shown below for an Android layout? and when a group is selected, the equivalent period and day must be represented as a square that fills the corresponding cell. 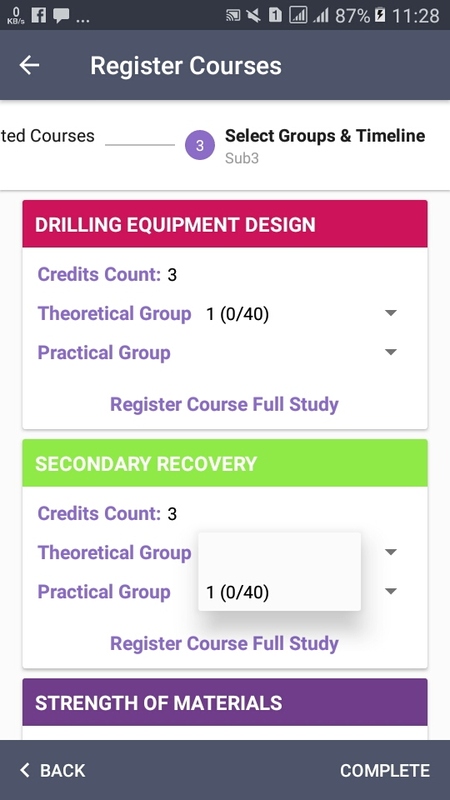 I've designed the selection UI, which is part of the Registration Step layout and contains a recycler view with maps, each of which maps a course (see below). Should I also design the schedule UI in the same step as the select step, or is it better for UX to have a second step to review the selection?